Mickey’s Not-So-Scary Halloween Party kicked off earlier this month with a Disney Parks Blog meet-up. Many guests showed off some impressive costumes but the Parks Blog team really knocked it out of the park by becoming residents of the Haunted Mansion. 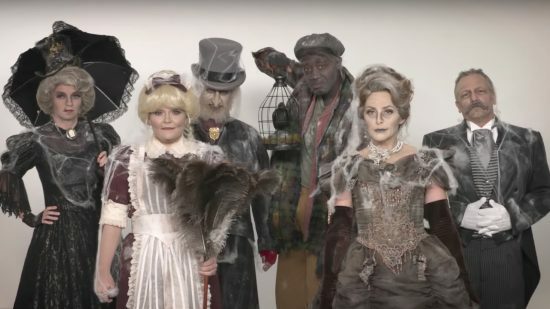 Disney released a video today, showcasing the impressive transformation the team underwent while they were quizzed on their Haunted Mansion knowledge. Mickey’s Not-So-Scary Halloween Party runs on select nights at Walt Disney World’s Magic Kingdom from now through October 31.